I have made more than my share of grainy, clumpy, far from creamy cheese grits. The kind that bare no resemblance to the velvety texture of the cheese grits I devoured in Savannah last summer. Or the creamy grits I ate in Myrtle Beach. Or the divine grits of goodness loaded with Munster cheese that I relished every fat gram of in Charlotte. While I’m sure each of those chefs labored over their cheese grits, this busy mama has been on a quest for a quick-cooking grits recipe that would deliver a creamy spoonful of goodness with every bite. And in a jiffy. A recipe that would come to my rescue on nights when each of my loves is heading in a different direction, after a family meal. Naturally, I turned to Cousin Google for help and bless you folks who took the time to write about your grits and enlighten folks like me. I hadn’t a clue that the secret to making creamy quick-cooking cheese grits is in the starting temperature of the liquid. Who would have thought to add quick-cooking grits to cold water and/or milk to get that velvety texture? After a lot of tweaking and twerking, I’m happy to pass on my own recipe to all of you who relish creamy cheesy grits with a speedy preparation. 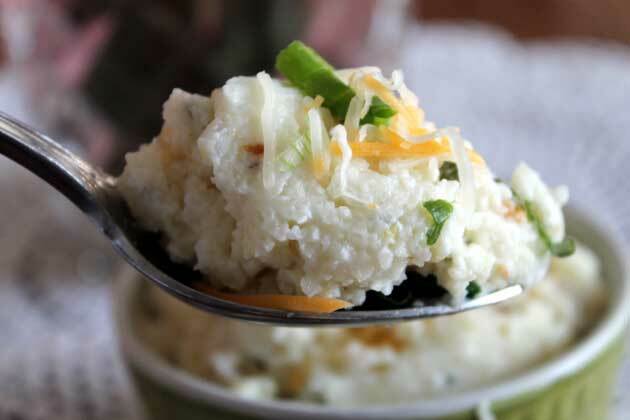 This recipe takes a healthier spin on cheese grits as I opt for a mixture of reduced fat milk and water instead of heavy cream. The reduced fat cream cheese provides richness with fewer calories and fat grams and the egg whites lend a velvety texture. In a medium size saucepan, add the milk, water and cup of quick-cooking grits. Set the temperature on high, get out your whisk and let the mixing begin. Bring the mixture to a boil - stirring constantly - about 4 minutes or until the mixture visibly thickens. Remove from heat and add 2 T butter, 3 oz. reduced fat cream cheese, grated Parmesan (not from a can), and dried parsley. Mix well. Next add the lemon juice and lightly beaten egg whites. 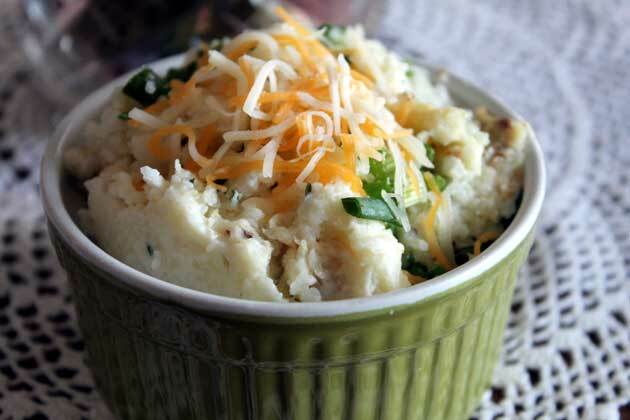 Return to the stove top, reduce heat to medium, and continue whisking for another 1-2 minutes until all ingredients are well blended and the grits have a smooth, creamy cheesy consistency. These grits are best served straight from the stove top, but will reheat nicely if you're lucky enough to have leftovers. I feel obliged to forewarn you that if you’re hoping for leftovers, well, one can always hope. These zucchini drop biscuits bake up light and tender and require tremendous will power to eat just one. We recently had my best friend and her two teenage sons over for dinner and I knew zucchini wasn’t anywhere on the guys’ top 40 list of favorite veggies. 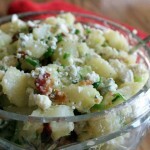 In early summer they enjoy the zucchini I share with their mom who bakes up sweet bread loaded with walnuts or pecans, but they wouldn’t consider ingesting it as a savory side dish. By the time August rolls around they plead with me not to share any more zucchini and one mention or look at my garden deluge causes them to take on a green hue. That is, until they tasted these scrumptious morsels. 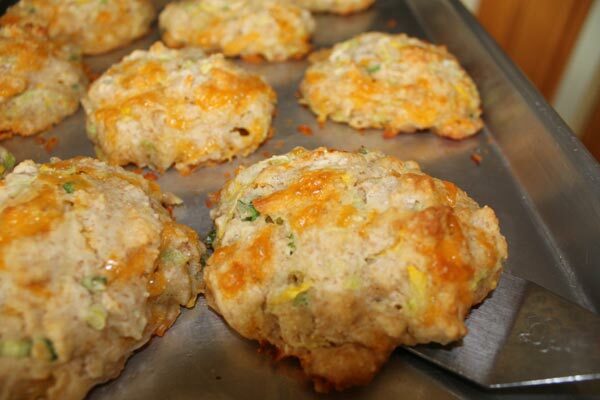 Update 1 year later (8/17/13): Hey all, yellow summer squash is an official family-approved substitute for zucchini in these drop biscuits. More accurately, it is a preferred substitute for zucchini and I’ve been advised to consider renaming my recipe “yellow squash drop biscuits.” I have baked three batches within the last week and the winning drop biscuit combination is yellow squash paired with finely shredded Italian cheese blend. The cheese seemed to melt into the dough and add a new level of richness. Yum! Add the cheese, green onions or chives, and the zucchini. Stir in the milk to make a soft, sticky dough. 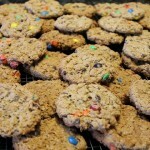 Use a 1/4 cup measure to drop the biscuit portions onto the prepared baking sheet. Bake on middle rack for 18 to 20 minutes, or until edges are golden. Transfer biscuits to a rack to cool.